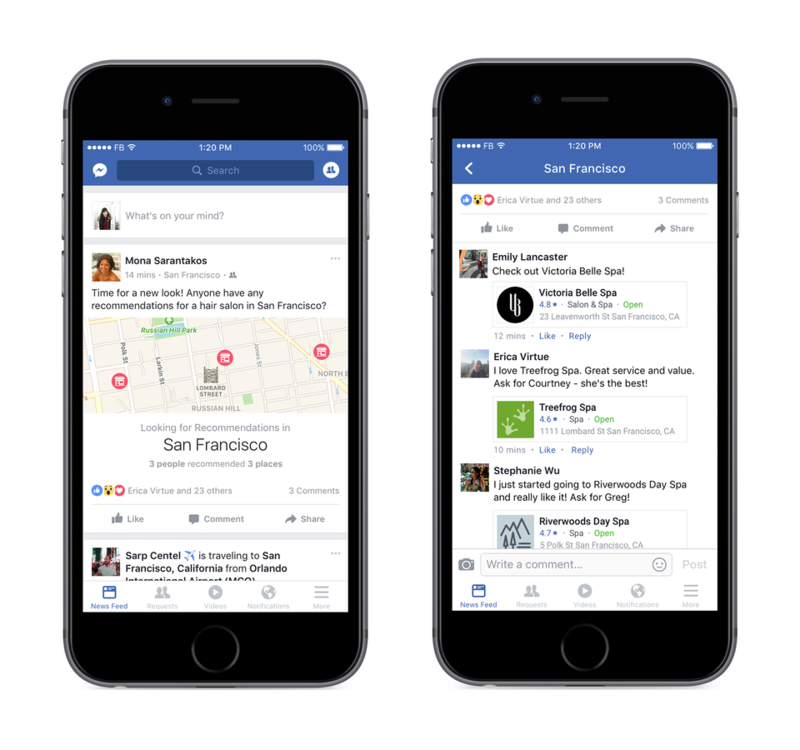 Facebook's new features are designed to coax you into spending more time inside the social network. Facebook just announced helpful new features that are rolling out in the U.S. starting today, and at top of the list is a new way to get dining, event, and business recommendations from your friends. The new feature goes deeper than reading comments on a post when you’re looking for great local coffee—although that's a big part of it. Facebook will intelligently organize all your friends' recommendations into one spot, and put each recommendation on a map for you to peruse. There’s also a new recommendations section where you can ask a new question or add your recommendation for others. 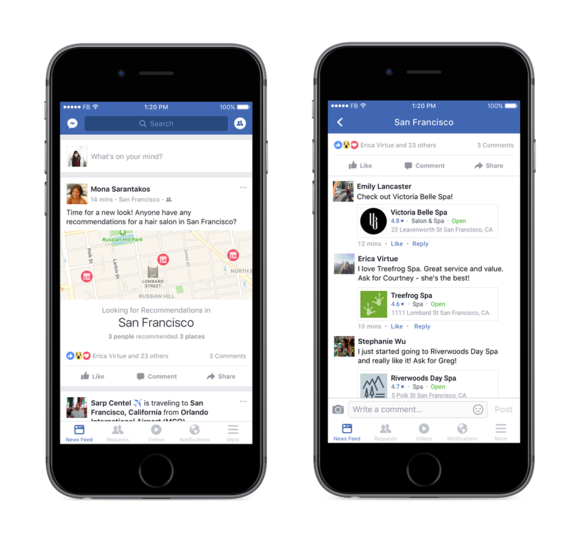 Facebook says it’s rolling out the new feature since many people already turn to the social network for recommendations on an informal basis. “Whether traveling to a new place, looking for a hair salon, or searching for the perfect place to eat, people already turn to their friends, family, and local Groups on Facebook for advice,” Facebook said in its announcement. The story behind the story: Whether users want to formally use a recommendations function in Facebook is unclear, but the company and its partners have tried to crack into this behavior before. Netflix began offering Facebook recommendations in 2014, and Bing tried to bring in recommendations from Facebook several years earlier. Facebook’s latest approach may have a better chance of capturing large numbers of users since it builds on something people already do on Facebook: create new posts to get recommendations from friends. Beyond recommendations, Facebook also announced a refresh to its Events section. The company said the new design will let you see what your friends are up to, and more easily browse event recommendations. 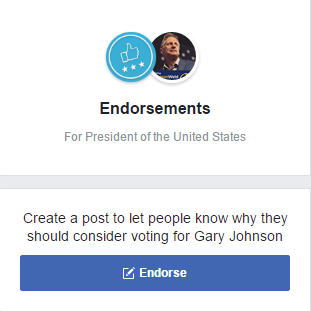 An example of Facebook’s new political endorsements feature. 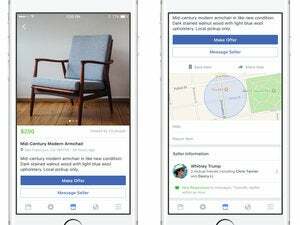 Facebook is also adding new interactions for local businesses that will let you order food, book an appointment, get a quote for services, and buy tickets right from inside Facebook. If none of that catches your fancy, Facebook added one more recommendation service recently that was not a part of this latest announcement. You can now recommend your preferred candidate for President of the United States (or any other political office) with a written endorsement. Cue the flame wars.